If you’re an avid lacrosse player, you’re definitely familiar with the sport’s top brands. 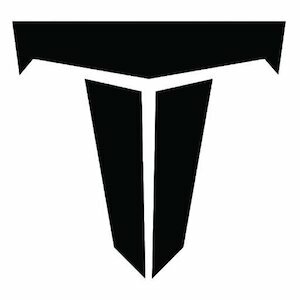 Names like STX, Maverick, Cascade, Warrior, Under Armour, and Nike are all common place. And, it’s a safe bet that these marquee brands comprise the majority of your gear set up. Here at SidelineSwap, we’re all about discovering specialty brands and companies. We respect small businesses in the sporting goods industry who have carved out a space for themselves and built a loyal following. It’s not easy to do, but when it’s done right, you’ll appreciate the difference in customization, craftsmanship and quality that comes from a smaller specialty brand. In no particular order, these are five of our favorite niche lacrosse brands. Whenever it’s time to buy new lacrosse gear, most guys get pumped about choosing a new shaft; a new head; a new pair of cleats. But if you think about it, lacrosse players don’t spend much time thinking about the one piece of equipment they actually need to play lacrosse: a ball. That’s exactly what the founders of Signature Lacrosse realized about three years ago. The company was formed when two old friends transferred to the University of Tampa to play lacrosse. They shared a mutual frustration for the lack of quality of the balls that their program used. The lacrosse balls didn’t last longer than a season, and after too much use they’d turn into “greasers” -- hardened, slippery versions of once-fine lacrosse balls that seriously hurt when you get nicked by them in the arm or the head. The guys at Signature Lacrosse worked with chemists from Tampa to develop several new types of rubber. Signature Lacrosse rubber is more durable, while being much softer compared to other ball brands. When a Signature Lacrosse ball hits you, the impact is dispersed and not as localized. These balls are much safer than other alternative options, and one of the main goals of Signature Lacrosse is to reduce the frequency of concussions caused by lacrosse balls taken to the helmet. 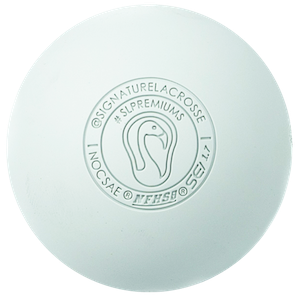 Signature Lacrosse has caught they eye of roughly 200 college programs nationwide, with coaches jumping on board with the concept of lacrosse balls that last longer and are safer for their guys to use. Knowing how to string your own lacrosse head has been a huge part of lacrosse culture since the sport’s inception. The problem with this is, it sometimes discourages newcomers from trying lacrosse in the first place. That’s where companies such as Stylin Strings come into play. Founded in 1999, Stylin Strings is one of the founding brands of the lacrosse equipment industry. The company got its start by originally selling its services on the now defunct website E-lacrosse.com. Fast forward to 2018, and Stylin Strings has its HQ in York, PA and a website of its own where you can purchase customized, pre-strung, dyed lacrosse heads. They also do a ton of work creating customized dyed heads for college programs -- on the women’s side, and the men’s side. Stylin Strings employs about 17 stringers who will string your head for you. 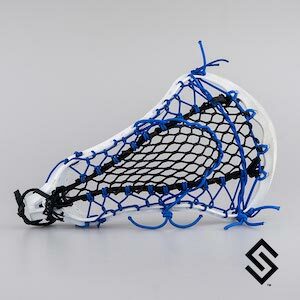 For lacrosse players who prefer to string their own heads, Stylin Strings is a great place to buy cool, customized stringing that you can have shipped right to your door. Stylin Strings continues to help grow the game of lacrosse by routinely putting out how-to videos on YouTube that aim to teach beginner lacrosse players how to properly string their sticks. In addition to stringing supplies, Throne also sells eye shields to protect your vision on the field from sunny days. You can also buy shafts and custom dyed heads from Throne as well. Need new uniforms? Adrenaline is a great option for teams looking for fresh, customized uniforms. Adrenaline was founded by East Coast-transplants, two former Division I All-American lacrosse players who settled in San Diego upon graduating to start a lacrosse company. Today, Adrenaline is the official apparel provider for the MLL. Adrenaline creates uniform orders for men’s and women’s teams, and you can easily place a team order on their website. Over 75 colleges and top high school programs all over the country use Adrenaline as a uniform provider. Lid decals have become more and more popular over the years. Just last summer, we had a Cascade S with Fortnite decals sell on SidelineSwap. Pretty gnarly. All kidding aside, there’s one company out there that’s capitalizing on the desire of young lacrosse players to have custom decals on their helmets. That company is HeadWrapz. HeadWrapz has a website where you can order easy-to-apply decals for your lacrosse helmet. The process is simple. First, indicate what type of helmet you have. Then, choose your style of decal, upload the artwork you want to use, personalize it to your liking and then boom! Your unique decals will arrive on your doorstep in no time. You can also place a bulk order to get custom decals for everyone on your team.